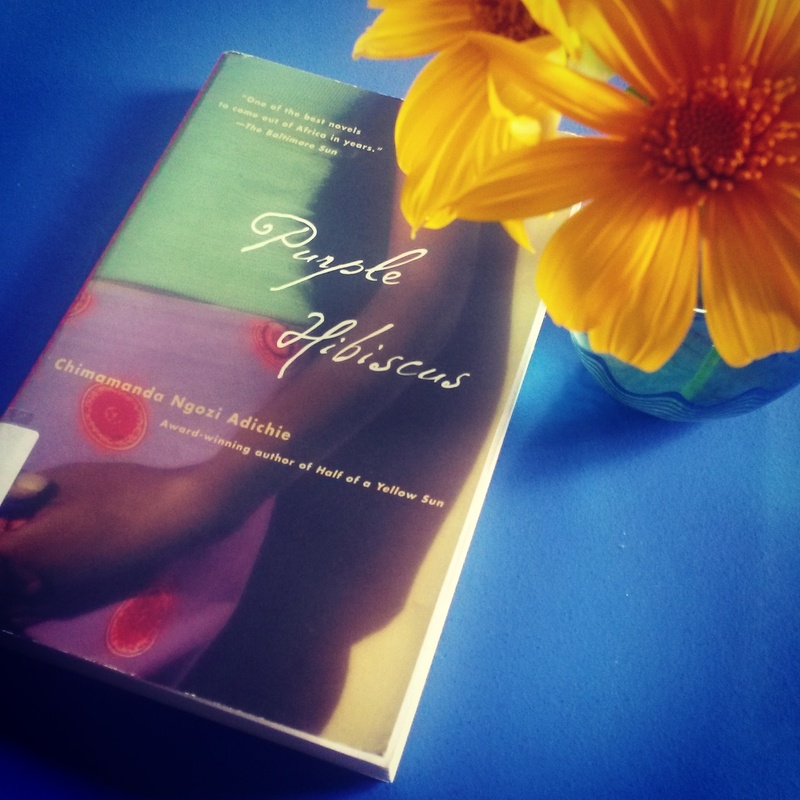 Purple Hibiscus (2003) by Chimamanda Ngozi Adichie follows the story of Kambili, a young girl growing up in a strict household dominated by her father, a wealthy Catholic in post-independent Nigeria. Kambili’s father has created an isolated environment in which she, her brother Jaja, and their mother, Mama, are to live. Controlling by fear and punishment, Papa uses the severe interpretation of the Bible and Catholicism that he received in colonial Nigeria as a way to maintain order in the compound. The novel takes place during a time in Nigeria when the country is falling into civil disorder. The above excerpt is from our recent resident artist Jordan Clarke’s guest review of Purple Hibiscus by Chimamanda Ngozi Adichie, this week’s addition to the Fresh Milk Books Tumblr – the online space inviting interaction with our collection in the Colleen Lewis Reading Room. For new Critical. Creative. Fresh reviews, look out for our #CCF responses and see the great material we have available at Fresh Milk! It is typically through family that Caribbean migrants are able to maintain a sense of connection to their Caribbean culture. What happens, however, when there isn’t a sense of cultural sharing through family? How does this affect one’s sense of cultural identity? In my fourth week at Fresh Milk, I confronted the fact that my father has never been solidly present to share his cultural identity and family with me. 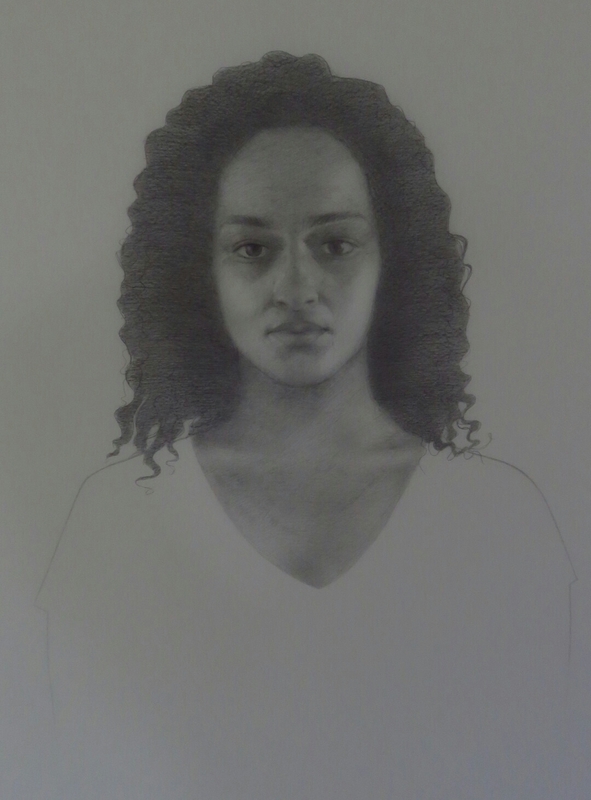 I drew a self-portrait in response, with the intention of representing a conversation I would have with my father. A more confident me stares out, confronting. I realize that the work I have created here during my residency represents a starting point for further investigation of the theme of self-perception, as well as self-discovery. It will act as a guide for future work once I’m home. In thinking about the four weeks I’ve been here, I couldn’t be more grateful for this rewarding experience. Having such a wonderful studio to work in, without the usual daily distractions, has been refreshing and inspirational. Fresh Milk’s extensive library, full of contemporary Caribbean literature and art publications, has been an invaluable tool for informing my work here. I can’t thank both Annalee Davis and Katherine Kennedy enough for all their help and support. Annalee is full of knowledge and has been able to point me in directions I showed interest in, while leaving me space to navigate my art practice. I would also like to thank Aaron Kamugisha for his help and good company. It has been so stimulating to connect with all the artists who have visited Fresh Milk during my residency. I see my time here as a starting point, a spark that will encourage further exploration and dialogue in my art practice. While at Fresh Milk, I have been working through self-portraiture, landscapes, photography and journaling as a means to document my first visit to Barbados. Born in Canada, I am the daughter of a Canadian mother with Scottish and English roots and a Barbadian father who has now spent 75% of his life in Canada. As a result, I possess multiple identities. I see myself as mixed-race, Black and Canadian. In Barbados, where I have no family members, I feel disconnected and exposed. I am an outsider in my father’s homeland where I had hoped to feel a sense of homecoming and belonging. Not surprisingly, the work I have been producing here is introspective, exploring the theme of self-perception. 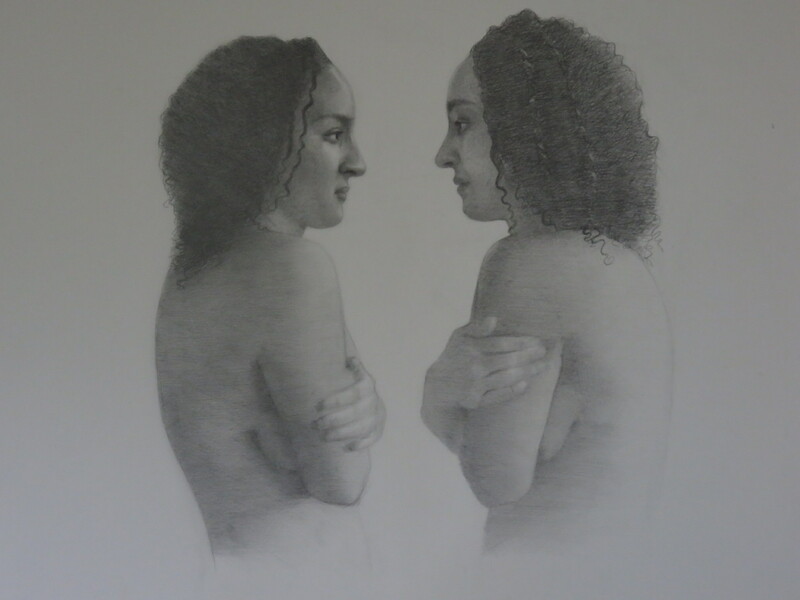 My double self-portrait in graphite really expresses the sense of vulnerability and sadness I felt soon after my arrival in Barbados. 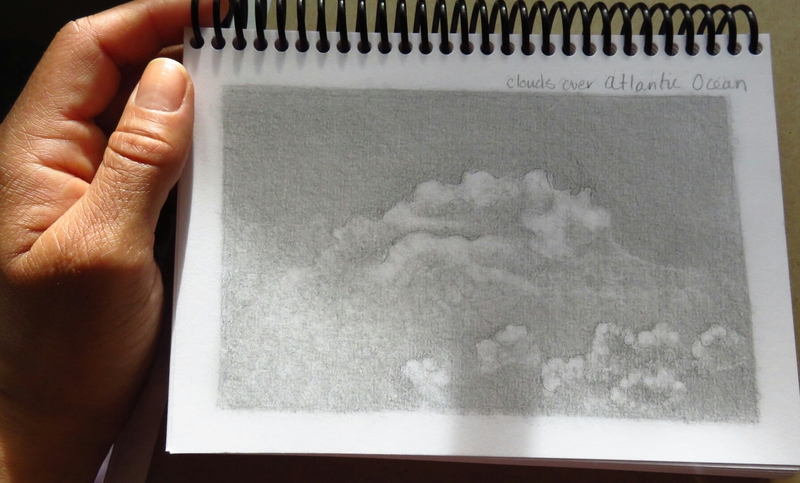 I have also been looking outwards, exploring landscapes in my work, specifically sky and cloudscapes. I’m attracted to clouds because they are always in movement and constantly changing, creating new formations that never repeat. I also find them to be majestic and beautiful. For me, clouds represent a universal space rather than a specific place, a space that is similar in both Toronto and Barbados. 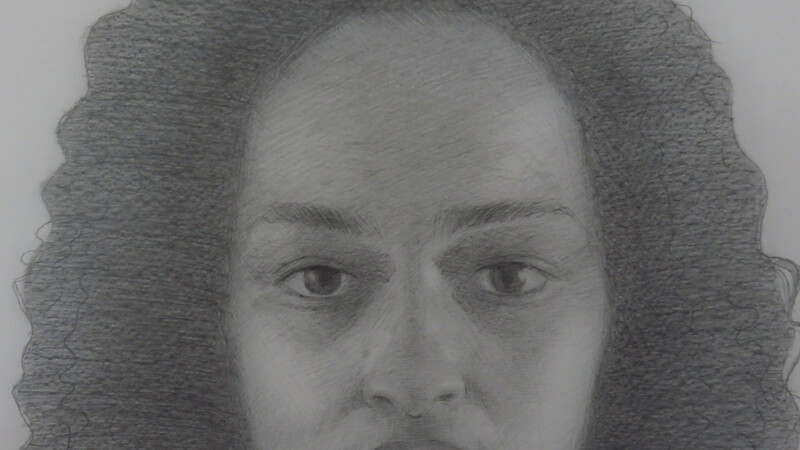 At the moment, I see landscapes and portraits as two different practices. 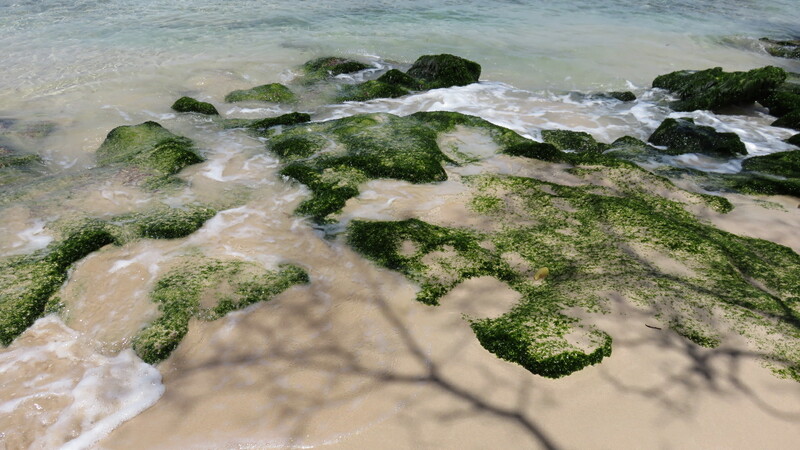 I had originally intended to insert myself into the landscape to create a connection with the land and Barbados. Interestingly enough, this joining of my body and a still unfamiliar landscape isn’t happening. This residency is a special opportunity for self-discovery and evolution. I am realizing that change is not always comfortable, but is an essential part of my growth as a woman and as an artist. What is most painful is the feeling that I am missing a large part of my cultural roots and identity.